CHEYENNE, Wyo. 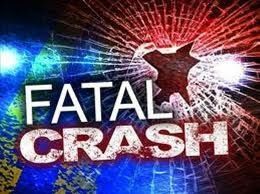 - The Wyoming Highway Patrol says 38-year old Mariah Handley of Rapid City was killed in an accident on Interstate 25 3 miles south of Chugwater, Wyoming Tuesday morning. The Patrol says Handley was a passenger in a Chevrolet truck driven by Miranda Madsen of Rapid City when the truck lost traction and lost control on the ice and snow covered roadway. The Patrol says the truck went off the road and rolled about three times. Handley was not wearing a seatbelt and was ejected from the vehicle. The other occupants of the truck were taken to Platte County Memorial Hospital with minor injuries. Blowing snow created hazardous road conditions across a wide portion of southeast Wyoming. Officials shut down I-80 between Laramie and Rawlins due to numerous accidents on the icy road.